If the UPMC Health Plan contact center has a wall of fame for industry honors and awards, my guess is that it has long since run out of space… or that it is a very big wall. 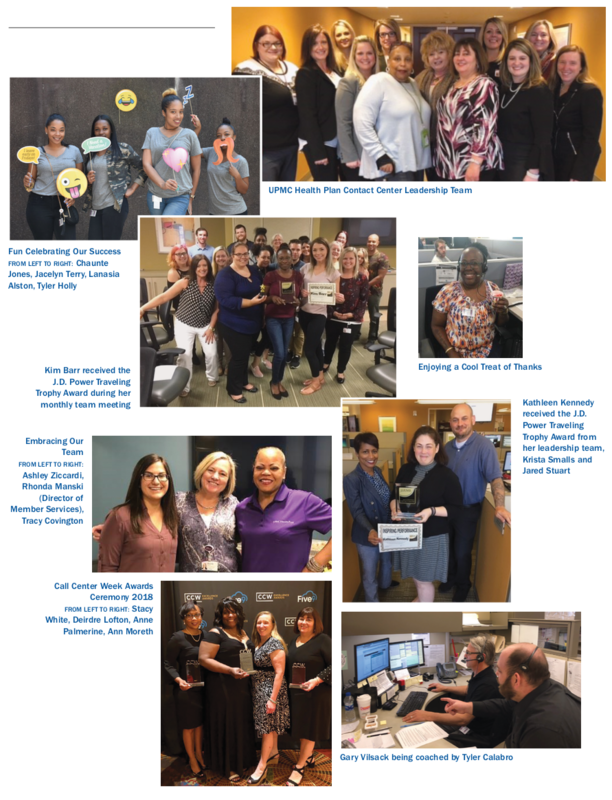 I first spoke with UPMC Health Plan contact center leaders a few years ago after the center had been recognized as a best-in-class operation at numerous industry award events, including the Stevie Awards, ICMI’s Global Call Center Awards and Call Center Week’s Excellence Award. Fast forward to 2018 and the center has taken the top honors at the recent CCW Excellence Awards in Las Vegas—including Best in Class Contact Center (200+ seats), Best Contact Center Culture, and Customer Contact Leader of the Year (Ann Moreth). And once again, the recognition came on the heels of nearly a dozen other industry awards this year. Clearly, there is something very unique about this contact center that has been consistently earning industry commendations year after year. I recently had an opportunity to speak with Anne Palmerine, VP, Customer Engagement, Enrollment & Retail, and Ann Moreth, Program Director, Member Services, to find out what makes this service center stand out. If I had to pinpoint UPMC Health Plan’s special ingredient, it would have to be pride. The leadership team and CSRs are proud of their company and the work that they perform and they never stop trying to improve it. Frontline CSRs are empowered to provide personalized, proactive service similar to a hotel concierge (see Inside View, September 2015). Making people feel cared for requires a personal connection, and UPMC Health Plan begins to forge those links on day one. New-hires are welcomed to the company in a meet-and-greet with senior executives where the company leaders take the time to get to know each individual. “We share personal stories about ourselves, and they share something personal. It helps to create a connection right out of the gate,” Palmerine says. Combine a strong sense of pride with a caring environment and you get a team that is driven not only to perform well, but is always looking for improvement. “We come here every day and work with determination and perseverance to be better,” she notes. “We are always asking ourselves what else can we do; how else can we do it?” She adds that the drive to innovate keeps the work new and exciting for staff at all levels within the center. Customer-centric innovation and improvement are driven in part by UPMC’s voice of the customer process, which draws member feedback from the center’s after-call surveys. Members have an opportunity to provide feedback immediately after the call, as well as 30 days after the call to ensure that the issue was fully resolved and to gather further input. Member feedback follows the service recovery process—if a member responds that his or her issue has not been resolved, an alert is automatically generated within the phone system. Member services will then immediately research the issue and call the member back within two business hours. Quickly resolving issues that have occurred within the member services group is one thing. But what happens when the member’s issue is traced back to an error or problem that has occurred in another department? UPMC Health Plan’s Service Excellence Program ensures that VoC alerts are prioritized across the organization. But it doesn’t stop there. That department is then required to drill down to find the root cause of the issue—what and why—as well as whether other members or customers were impacted. “We can then compile a list of who has been affected so we can reach out to them and fix it before they know it’s an issue,” says Moreth. Getting other departments to prioritize service issues and respond with a sense of urgency is not a task at which many organizations succeed. Palmerine admits that it can be challenging to get other departments to change, and to instill in them the same desire to expedite VoC problem-resolution as is held in member services. Doing so was part of a companywide evolution that began by rolling out a set of values that included service excellence and innovation, and which helped to align all of the organization’s businesses and departments. Next, Palmerine conducted Service Excellence training across the organization. “The focus of the training was to help everyone understand that service isn’t something that you do in the call center. It’s something that ALL of us do,” she says. A diversity mentoring program created to grow diverse talent into leadership roles and to ensure that leaders can communicate effectively across cultures. A coaching program focused on the customer experience. Instead of reviewing calls against a checklist of call quality items that a CSR did or did not do, coaches and CSRs listen to recorded calls and evaluate them together while focusing on customer experience criteria. A new approach for managers to conduct more productive one-on-ones with their team members. Called the Prompt Program, it offers both manager and CSR specific career growth guidelines to discuss and plan. CSRs are encouraged to keep a career journal and are provided with “prompts” or career-focused topics to write about, such as areas of improvement, additional training that they need, where they’re struggling. When they meet with their manager each month to review their development progress, the prompts can help to guide the discussion. Managers welcomed the Prompt Program because it removed the pressure of how to use the CSRs’ one-on-one time most effectively. “By providing this structure for managers and CSRs to follow, it has made for a much more engaging conversation,” says Palmerine. Besides formal career development programs, CSRs can have a chance to practice their problem-solving and leadership skills by taking ownership of an improvement opportunity, says Moreth. 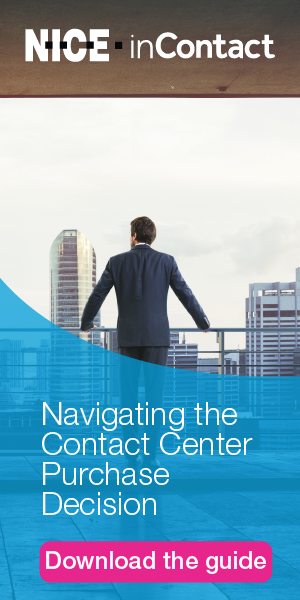 Employee-centered committees allow CSRs to take the lead in driving process improvements. It’s a win-win: Frontline CSRs are more aware of process obstacles and issues since they’re the ones doing the work, she says. “They take pride in their role in improving processes as well as sharing that information with their teams,” she says. A recent change to improve response times for members’ claims adjustments opened an additional growth layer for CSRs. Like most health insurance companies, at UPMC Health Plan, the claims department and contact center are separate entities, even though members may view them as one touchpoint. The drive to deliver excellent personalized service was sometimes at odds with the claims department’s heavy workload. The department processes 90 million claims a year; turnaround time for an adjustment could take up to 30 days. Palmerine suggested to claims leadership that they train a team of member services CSRs to adjust their own claims. They did, and the outcome was significant. CSRs were excited to be able to learn a new skill and adjust their own claims. They were able to cut the turnaround time for claims adjustments to one day in most cases, which dramatically reduced repeat calls. Claims calls, which used to account for about 15% of member services’ call volume has dropped to 5%. Member satisfaction with the claims process has skyrocketed. When you create a culture that emphasizes caring, it permeates throughout the entire company. The behaviors modeled by leaders become the standards by which CSRs communicate with each other, with peers in other departments and with customers. At UPMC Health Plan, a top driver for CSRs is the value that they see in the work that they do. Palmerine says that recurring feedback in agent focus groups centers on the sense of accomplishment agents feel from helping members and the ability to make a difference in people’s lives.